First off, I just want to say THANK YOU to everyone for their kind comments on Wednesday’s post. It feels awesome to be able to discuss these issues with my fellow health and running bloggers, and I feel so much better for having discussed my mixed feelings about telling people about my blog and labeling myself as a ‘blogger’. You all are so awesome and friendly and I am lucky to belong to such a kind and supportive community. 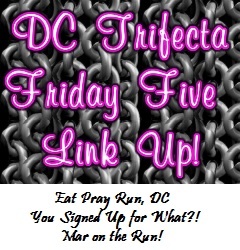 I’m once again hopping back into the Friday 5 Link-Up this week, hosted by Courtney of Eat Pray Run DC, Mar of Mar on the Run, and Cynthia of You Signed Up For What? This week’s topic is all about race day!! Honestly, the timing of this one could not be better with my mom and I gearing up for Sunday’s half marathon in Providence! 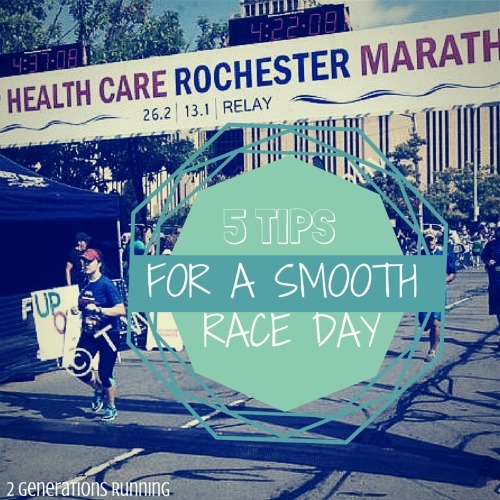 I figured I would share with you all 5 tips for keeping the race day running smoothly (pun very much intended). 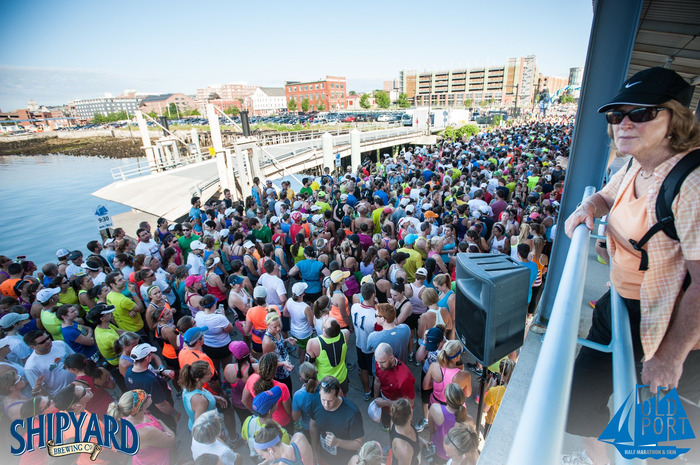 Race mornings can be stressful, but these tips have helped us keep calm and enjoy the experience. Write EVERYTHING DOWN. The times that you can pick up your bib, the address of bib pick-up, the addresses of all the parking lots in the vicinity, and your bib number (if you know it). Make sure you’ve checked your information against the race’s website and Facebook page the day before in case any last-minute changes have been made. Lay out the flat version of “you” the night before. That means your whole race outfit, including sports bra, socks, sneakers, fuel belt, bib, hat… Make sure that you won’t have to scramble to find anything in the morning. Most races begin pretty early, so you will save yourself some valuable sleeping time by making sure everything is ready to go the night before. Check Mapquest or your GPS several days before to determine how long a drive it’s going to take (assuming you will be driving to the race that morning). I usually like to get to a race like a half marathon about an hour to an hour and a half before the start, but definitely budget in more time if you have a comprehensive warm-up routine you like to do! Do bear in mind, the longer the race, the shorter the warm-up! With a race that is 13.1 to 26.2 miles long, your body will have plenty of time to warm up and work up to your desired speed. Don’t forget to eat. A lot of people feel uncomfortable eating a big breakfast early in the morning, so if that’s the case, just bring it with you! 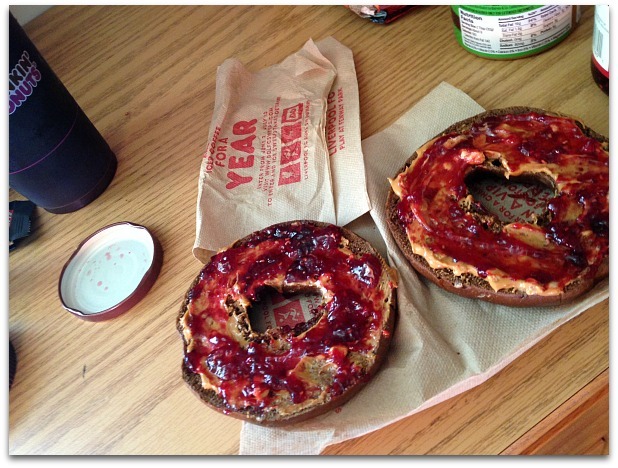 I don’t like to run immediately after eating, so make sure you give yourself some time to digest before your race starts. Go with a breakfast that has “sat well” with you on your previous long runs; you don’t want to try anything new on race day and discover it makes your stomach all wonky. And yes, that is the technical term for it. 5. Running with a friend or family member (or meeting up with some spectators post-race)? Try to plan a spot where you can reunite. In this era of cell phones and technology, this will probably only be an issue if you are running without your phone, but it’s always good to have a back-up plan in case your phone dies on you midway through the race. This is especially important if you’re running in a really big race with thousands of other runners. Do you have any special tricks for getting ready on race mornings? This entry was posted in Races, Tips & Tricks, Travel and tagged 2 Generations Running, Friday 5 Link-Up, Half Marathon, Race Morning, Running, Tips for Races. Bookmark the permalink. You two, have a blast! Finding a reunion spot is always the most challenging!!! Such awesome tips! Laying out a flat you is absolutely essential. 😀 Plus I love when people post up their flat runners and I can admire their outfits! Good luck this weekend, lovely ladies!! Great tips 🙂 I’m glad you didn’t forget the coffee – that would be disastrous!! I do lay out all my stuff the night before. One less thing I have to do in the morning. However I don’t really write anything down about the race itself. I usually do races w friends and I know they will always be on top of that! Reunion spot is important! My friend and I had planned on finishing a half together, but I ended up falling behind. Turns out she didn’t have her phone with her – so took a bit for us to find each other again.